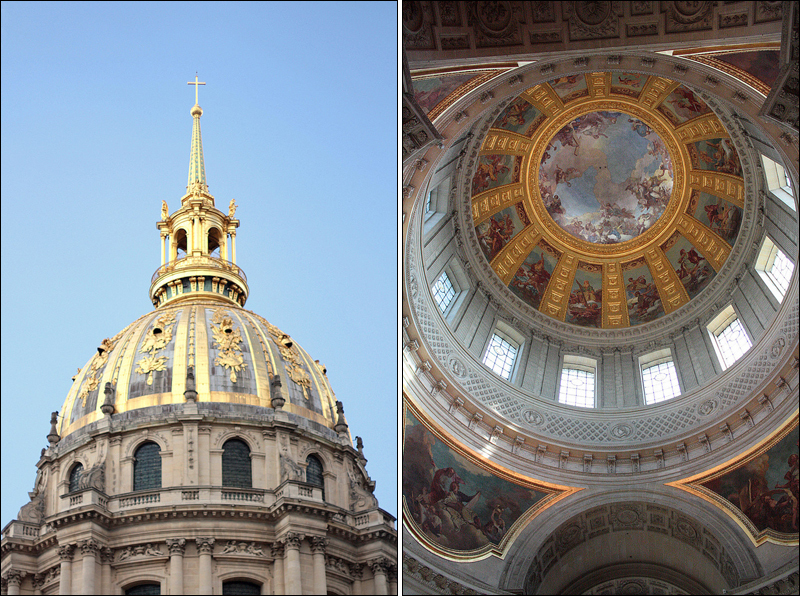 Les Invalides used to be a hospital (Hôpital des Invalides) and a home for injured soldiers. 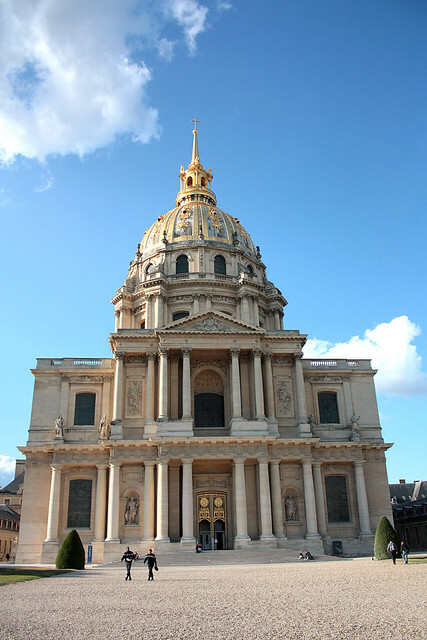 It is now a building complex of museums, churches, and monuments mostly dedicated to France’s war history. 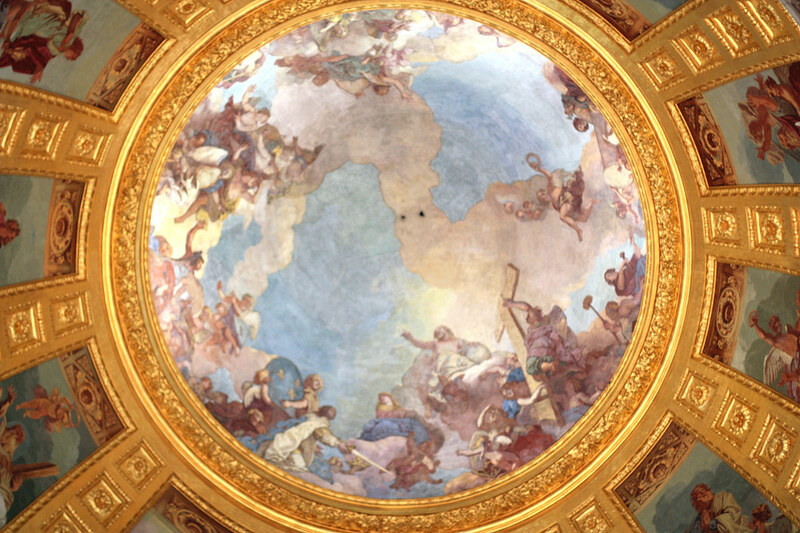 The most notable thing about the place is the Dome des Invalides (Église du Dôme), one of the two churches in the complex and the resting place of Napoleon Bonaparte, the Little Corporal who shaped France’s history as the great conqueror who invaded most of Europe, in a short span of five years. 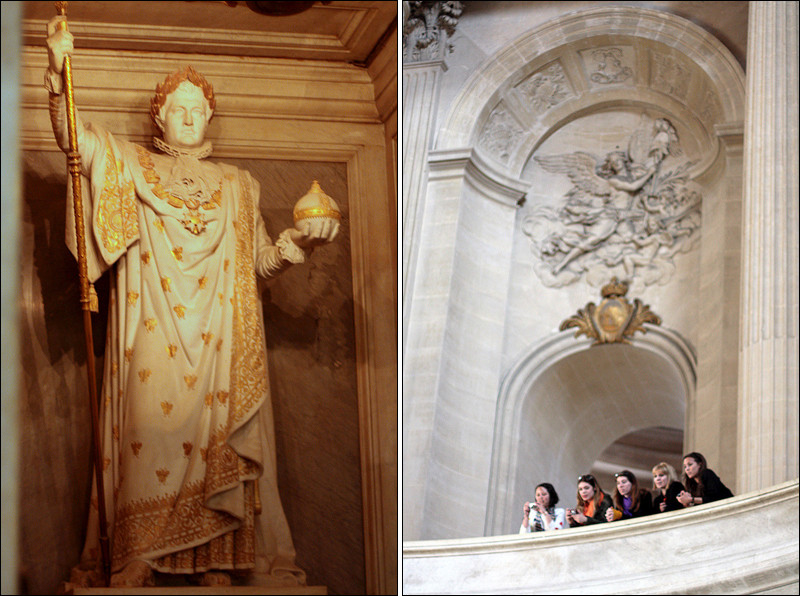 Napoleon’s body was exhumed from the grave in 1840 and transported to the Chapel, right under the dome. It was still perfectly preserved after 19 years. 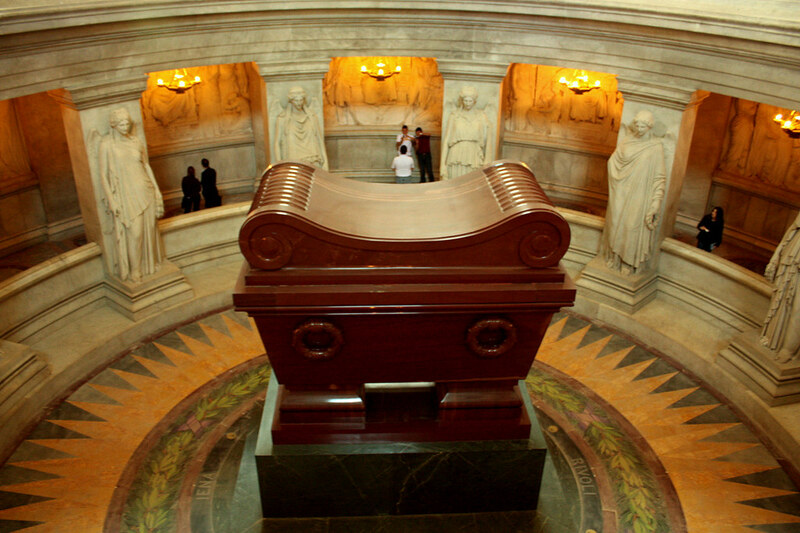 Underneneath this sarcophagus (stone coffin), there are six more concentric coffins before you can actually get to Napoleon’s remains (oak, ebony, lead , mahogany, tinplate). Adolf Hitler looked up to Napoleon, and even shed a tear or two when he visited his resting place, on his first and only trip to France. Alas, history repeated itself, and Hitler fell the same way Napoleon did, by attempting to invade Russia. 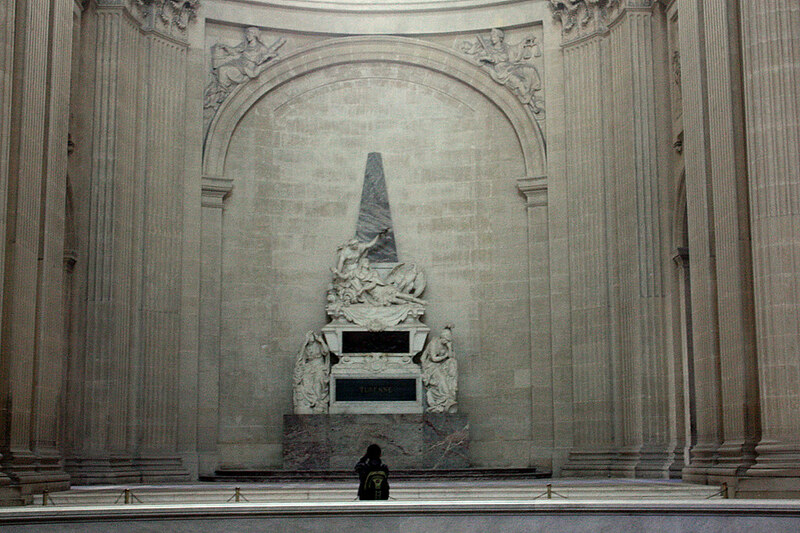 Other war heroes as well as Napoleon’s two brothers and son are also buried in this chapel. 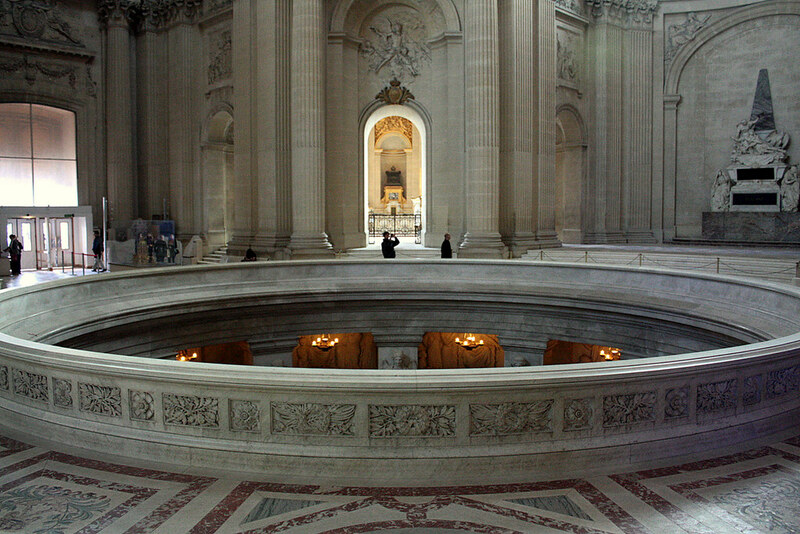 The chapel is very solemn, even if there aren’t any pews indicating that mass is being celebrated here. People are discouraged to make any unnecessary noise. A & I were exhausted because we fought the cold the entire day. We spent most of the time sitting and resting. I think I even fell asleep. Due to lack of time (and it was closing time besides), we failed to visit the actual Musee de l’Armee. This is a vast museum for those who are interested not only in France’s history, but also in the military history of the world– it contains exhibits from early war history to the more recent World Wars 1 and 2. For the evening, we head to Champs-Élysées for dinner and a bit of shopping. Previous PostThe Thinker at Musée Rodin	Next PostPlat du Jour at Le Relais, 13th Arr. 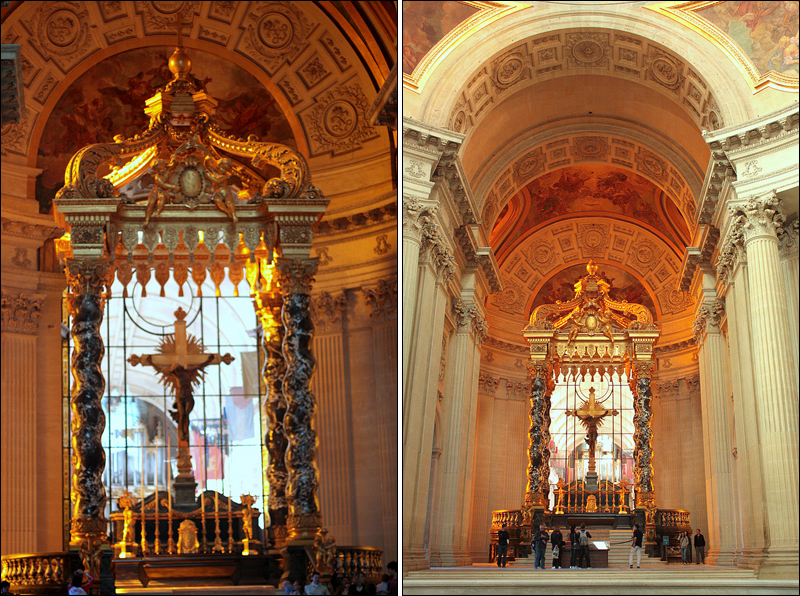 i love how the gilt-dome and your last couple of photos have a golden sheen on them. like the last rays of the afternoon striking the subject. very pretty. thanks for sharing.